I am currently viewing your blog, neglecting my studies, and procrastinating. 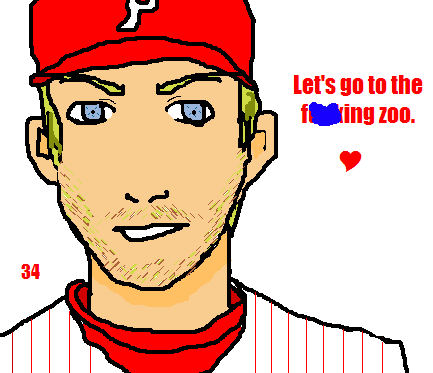 But you, like the responsible blogger that you are, have allowed me to do my school work AND catch up on the most recent ground/face breaking news about going to the zoo with Roy Halladay by integrating things like Duchamp's urinal into your blog. You are an inspiration to us all. they won't be able to censor roy when he says this after we win the world series. hell, the parade will actually go through the zoo!